The winter holidays will soon be upon us and it is a time for family and friend gatherings, travelling, and good food. LOTS of food! Most people celebrate this special time of the year with cookies, steak, pie, pudding, eggnog, alcohol, even more alcohol, meat, cheese, sweets and lots of other goodness. Did you know that the average person gains four to six pounds during this time of the year? That's a lot for 10 days! 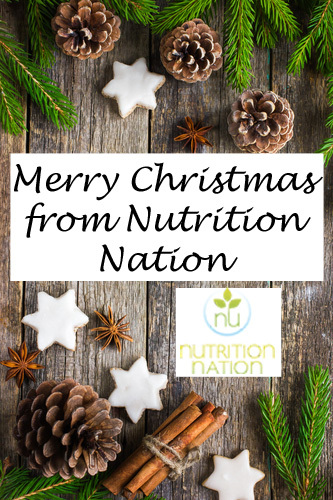 How can you maintain your healthy eating habits over Christmas while indulging reasonably? The holidays are all about family and friends. Stop thinking about food and concentrate on socialising. Make friends, spend time with your loved ones, and have fun. Think about what you're celebrating and how much you’ve waited for these moments to arrive. Enjoy some snacks, but don't focus on that entirely. Christmas isn’t the best time to start a new diet or workout routine. Don’t try to lose weight during the holidays because you’ll probably fail - let's be real. You should rather focus on maintaining your current weight and eating a balanced diet. Plan time for exercise, eat mindfully, and make smart food choices. Who says that you must give up your favourite foods to stay healthy? You can easily cut unnecessary items out without sacrificing taste by swapping out a few ingredients. If you're the host, use a mix of coconut sugar and stevia instead of traditional refined sugar used in most recipes. Use less salt and more spices. Replace some of the oil and sugar in muffins with applesauce. When cooking, add two egg whites instead of one egg. You can also add cottage cheese to salads, pasta, and cakes instead of heavier cream cheese. If you're attending someone else's party, choose your food wisely. Get plenty of rest before the event and don’t arrive on an empty stomach. Studies indicate that people who sleep less than seven hours a night eat up to 300 more calories and tend to choose higher calorie foods than those who get enough rest. Start your meal with fresh veggies, ham, eggs, or basic appetisers. Don’t waste calories on foods you don’t like. Make just one trip to the party buffet. Enjoy each bite and fill up on lower calorie, nutrient dense foods. 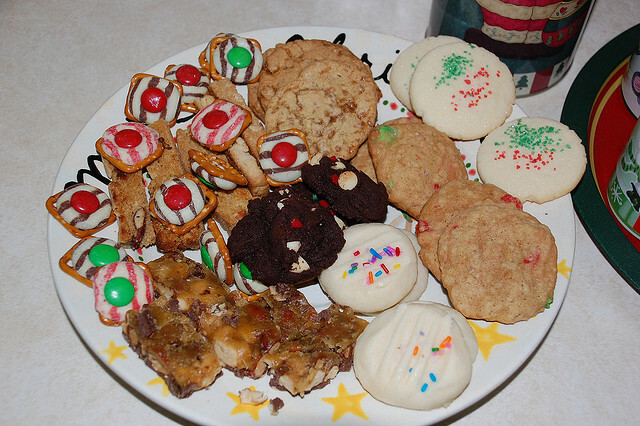 Most Christmas foods are packed with fats, gluten, sugar, salt and other ingredients that may not be good for you. Those who suffer from diabetes, Celiac disease, high blood pressure and other health conditions need to be careful about their food choices. If you have diabetes, eating too much sugar can be extremely harmful, if not fatal. The same goes for people with a gluten intolerance. Thus, it's important to let the host know about your condition. Try to find out what the menu will look like. Be careful with beverages. Alcohol is not good for diabetics. Some drinks contain gluten, too. If you suffer from any special conditions, stick to foods you're familiar with. Don’t eat anything new unless you know what ingredients were used. Even if you choose “safe” foods, watch your portions. Even the healthiest foods may not be good when consumed in large amounts. The most important thing is that the holiday period is abut 3-4 weeks so PACE yourself and don’t over-indulge at every event. BALANCE the alcohol and food consumption and above all HAVE FUN!